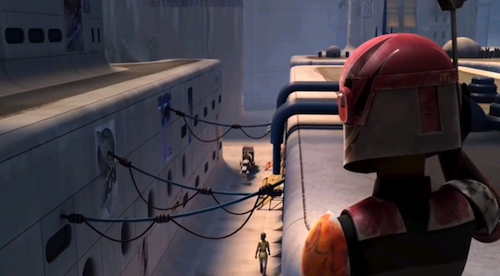 Disney has posted an extended preview for its upcoming Star Wars Rebels series on Disney XD. The familiar sights and sounds of a galaxy far, far away with an Aladdin twist? I'd be remiss not to highlight a soundtrack that reprises John Williams' leitmotifs for the original Star Wars trilogy. The new series premieres this October on Disney XD. Lookout for a range of collectibles including action figures from Hasbro.